Seb is a struggling musician… and a bit of a jerk. Mia is an aspiring actress who looks exactly like Emma Stone and is just as lovely. After a couple of inauspicious encounters they finally get to know each other and fall in love. Each encourages the other to pursue their dreams. But unfortunately the very pursuit of those dreams threatens to tear them apart. 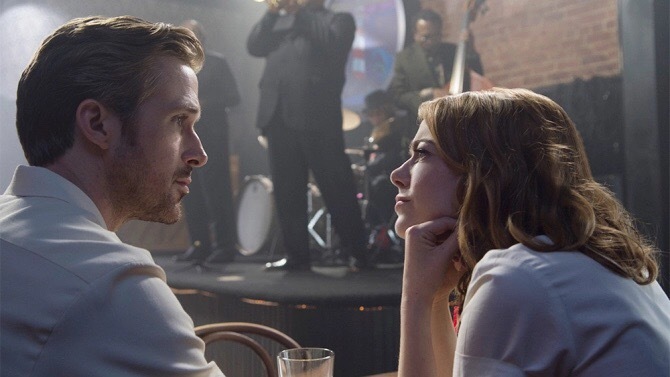 The story may be slight, but the way La La Land tells it is nothing short of exquisite. It revives the Hollywood musical format in a way not seen in decades – particularly if one overlooks, as one should, the execrable movie version of Chicago. Emma Stone and Ryan Gosling are as lovely a central couple as have ever graced the silver screen. But there is something that seems grounded about their characters, almost ordinary, that makes them easy to relate to. I am generally not one for musicals, but I left the cinema wondering if La La Land had just stolen a place in my all time movie top 10. It is a lovely tonic in these bleak times, celebrating art and artists just as the storm clouds gather again on Europe and the United States. Just like the Women’s Marches across the world in the aftermath of Trump’s inauguration, La La Land reminds us of the importance of getting up after getting knocked down. It is perhaps the perfect movie for our times. A man is found murdered on Lewis, in the Scottish islands. The modus operandi of the killer is similar to that of a case that Fin McLeod, a Lewis native now a Detective Inspector, is investigating in Edinburgh. So Fin is sent North, returning home for the first time in 18 years, to see if he can be of any assistance to the police team investigating the Lewis case. What he finds reawakens a whole series of long suppressed memories. 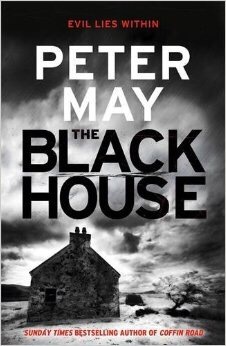 The Black House starts routinely (“There’s been a MURDER!”) enough as that classic trope: a police procedural with a flawed, troubled detective at its centre. But it quickly turns into something else. In significant part the book is about growing up, and a major portion of the book is told in the first person as Fin reminisces on his childhood, and the days leading up to his departure to university in Glasgow. This reminded me a lot of Seamus Deane’s sublime novel of childhood, family, politics and war in post-partition Derry, Reading in the Dark. Interspersed with this is the procedural part of the book, in the “present”, which is told in the third person. It is not at all clear until close to the end of the book just how these two parts relate to each other. But they ultimately merge very elegantly. The Black House is the first part of a trilogy, and it is a hugely entertaining novel of life and crime, with a strikingly unusual setting in the Western Islands. I look forward to the rest of the series.